Does your home look like the perfect images on Pinterest? Do your family routines run smoothly? My home is certainly far from Pinterest perfect! And our family routines have definitely had some bumps along the way. Trying to keep up with laundry, housecleaning, sticking to a budget, as well as endless meal planning can be challenging. 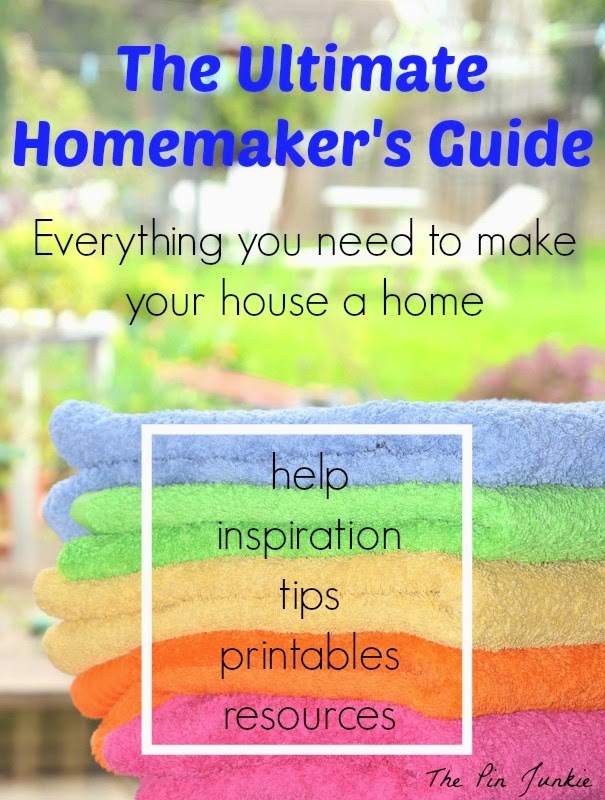 Homemaking is hard work and it doesn't always come easily. That's why I'm really excited to tell you about The Ultimate Homemaking Bundle. The Ultimate Homemaking Bundle can help you to nurture the beauty and productivity in your home and family relationships with proven, simple, and effective tools that really give you a boost as a homemaker and provide help, inspiration, tips, encouragement, and resources right at your fingertips! The Ulitmate Homemaking Bundle is an amazing collection of resources full of critical homemaking skills you need to transform your house into a home. Things like. . . This looks like a great set of resources! Thanks for linking up to the Bloggers Brags Pinterest Party. I have pinned your post to the Bloggers Brags Pinterest Board. Really great resource! Thanks for sharing with SYC.